Founded in 1951 and based in Germany, Meinl Percussion is one of the two leaders in European cymbal and percussion manufacture alongside Paiste. 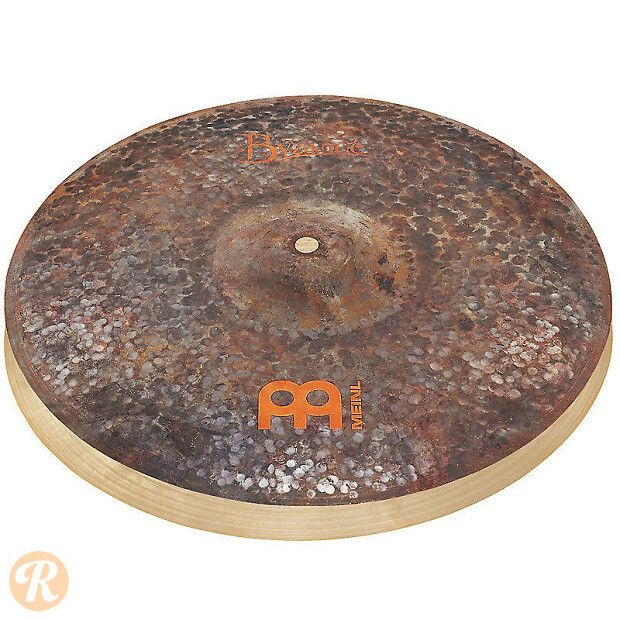 The Byzance series features traditional Turkish hammering techniques with a basis of B20 alloy for a traditional, atmospheric cymbal sound. The 16" Extra Dry Medium Hi-Hat features an un-lathed finish and a heavy bottom/light top for a dry chick and minimal wash.